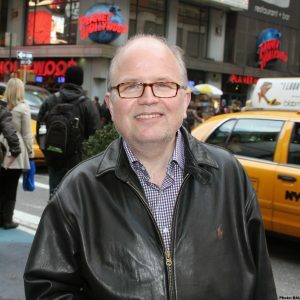 Thomas Åberg was born in Stockholm, Sweden in 1952. He has spent his entire life in Stockholm, and his musical life, style, and influences draw strongly on his Swedish homeland. Åberg is primarily known as a composer, but his compositions are deeply linked to his performing identity and activity as an organist. Åberg’s principal teachers included Märta Söderberg (piano), Tore Nilson (organ), and Stig Gustav Schönberg (composition). His early professional musical activities were part of the Skeppsholmen Group, an association of four “experimental” young Swedish composers/performers who were active together from 1978 through 1981. In December 1978, Åberg made his public debut as a composer/organist with the performance of his organ work Daylight (later published in Three Short Fantasy Pieces). After his first solo organ concert in 1981, Åberg spent the following decades performing frequent recitals of his own compositions all throughout Sweden—at every major organ festival and many churches and other venues. He has also toured the USA multiple times and played recitals in several other countries. Åberg made numerous recordings of his compositions: beginning with cassettes and CDs in the 80s and moving in the 2000s and beyond to videos on his website and the internet/YouTube. 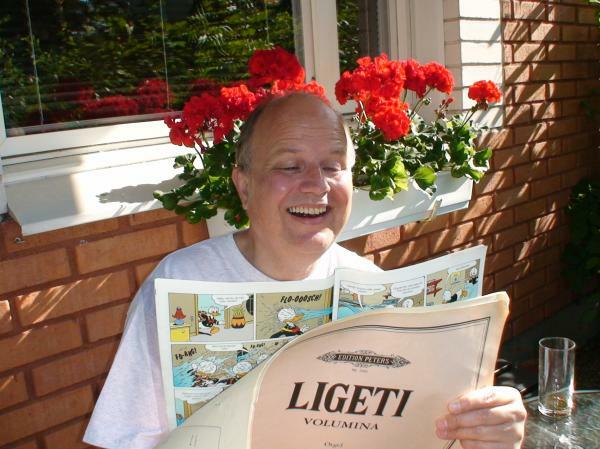 Åberg was an early adopter of the internet and one of the first Scandinavian composers to maintain a personal composer website (abergmusic.com) for sharing his music and performances. This effort helped spread his music beyond Sweden to organists in other countries. It was during the early 1980s that Åberg studied composition regularly with the Swedish composer Stig Gustav Schönberg, whose own musical style was an important influence on the development of Åberg’s own idiom. Very early Åberg works (mostly withdrawn) from the late 1970s were in a largely non-tonal, experimental style, with emphasis on textures and cluster harmonies. However, even in some of these works—such as the middle section of the still available Dreams (1978/80)—one can see certain harmonic structures that would form part of his later style. During his time with Schönberg, Åberg began to develop the style that would characterize his mature music. In 1980, Åberg composed what was to be his most popular work: Fantasy A-minor. The style of this piece shows elements that would remain an important part of his compositional language: a freely modal vocabulary; the contrasts between highly energetic music (especially involving repeated chords and ostinati) and tranquil lyricism; and a focus on largely modal melodies. Another important part of Åberg’s music in these early years is the contrast between the traditional romanticism of the 20th century organ literature (shown very well in the 1981 Petite suite romantique, an homage to Léon Boëllmann) and post-romantic sensibilities, especially those with a Swedish character. The influence of Schönberg’s own music was important in this latter respect, especially in its free treatment of modality and harmonic areas. This became a significant part of Åberg’s style, where leaping from one mode to another, often in close succession, or putting modes against each other would become characteristic. 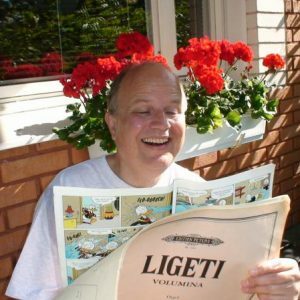 To this, Åberg added his natural effusive personality—providing the rhythmic animation and the distinctly Swedish humor that is present in many of his pieces. Certain characteristic harmonic structures ran through Åberg’s music of the early 1980s, resulting in pieces that had linked relationships but often very different expressive results. The popular Three St. George Preludes (1983) is a characteristic work of this time: the first prelude contrasts lyrical melodies with lighthearted music; the second is a gentle lullaby, and the third is a jubilant toccata. The large-scale Symphony (1981–82) is one of the finest Scandinavian organ compositions of the post-1950 era: a stirring work inspired by “Nordic light” and depicting a Scandinavian midsummer celebration. In the mid-1980s, the organist of Stockholm Cathedral, Gotthard Arnér, encouraged Åberg not to neglect the intimate sounds possible on chamber organs. This resulted in a series of pieces that can be played even on a one manual organ without pedals—Five Miniatures (1984), Toccata No. 7 (1984), and Liten svit (Small Suite) (1985), among others. Several works of the late 1980s and beyond, especially Sonatinas Nos. 1 & 2 (1986), explored very strong influences from Scandinavian folk music. Unlike many Scandinavian composers, Åberg did not use actual folk melodies in these pieces, but rather wrote his own original melodies with strong folk flavor. Folk influence is present in two of his most popular works: Svensk bröllopsmusik (Swedish Wedding Music No. 1) (1985) and Seglora kyrkmarsch (Swedish Wedding Music No. 2) (2004). The composition of organ wedding music is ubiquitous in the 20th century Scandinavian organ literature. However, unlike most offerings, Åberg’s pieces are original works and not arrangements of folk tunes. The first piece came about as a request from Åberg’s then publisher Janne Jansson, who specifically wanted to release an original wedding march with a distinctly Swedish character. The piece has become extremely popular in the years since. The 1980s overall were an extremely productive period for Åberg in which he defined his musical style and its expressive possibilities and composed numerous works. The 1990s saw far fewer new compositions, though Åberg still produced some significant pieces, including more pieces in the toccata cycle and several suites such as Sinfonietta (1994) and November Music (1995). The material of these pieces has much kinship to the music of the 1980s. The late 90s and early 2000s were difficult years for Åberg for various personal and professional reasons. These “dark times” were reflected strongly in the music of this period. Iconic works of this darker period included the moody trilogy In the Garden (1999/2002) and the powerful Waiting for Astor… (2003), an evocation of a desire and attempt to “dance” amidst difficult times and a broken world. In purely musical terms, the late 1990s and early 2000s also saw an exploration of musical minimalism (Noon Sonata, Morning Sonata, Sunday Sonata, among others). Åberg sought to incorporate some minimalist influences into his work without losing the distinctive melodic and harmonic language that he had developed over the past decades. Given the importance of rhythm and ostinati in his style, it was perhaps natural that Åberg would find some affinity with minimalism. It was New Hope Suite (2008–09) that marked a return to a time of great happiness. The style of the music recalled the joy and extroversion present in many of Åberg’s works of the 1980s, but now it was combined with influences from his period of minimalist exploration. The result is music of—in the composer’s own words—“overflowing joy.” New Hope Suite also showed his ongoing interest and engagement with the USA, a country he continued to enjoy visiting and touring. The first part of the suite was inspired by reading about the Aeolian-Skinner organ in the Cathedral of St. John the Divine in New York City and was composed to honor the completion of the cathedral organ’s renovation. Since 2000, Åberg has extended beyond his nearly exclusive identity as a composer of organ music. Although his earlier years saw occasional forays into writing music for other instruments (and a few vocal works), he had been almost exclusively a composer for solo organ. After 2000, and often working on instrumentation/orchestration in collaboration with two other Swedish composer colleagues (Eyvind Hallnäs and Johan-Magnus Sjöberg), Åberg began to write music for other instruments. He also began making transcriptions of a number of his organ compositions to include additional solo instruments (such as saxophone or violin). Åberg also transcribed some of his organ pieces for piano solo, re-imagining them for the textures possible on a different kind of keyboard instrument. A friendship with the American poet John Gracen Brown inspired new works for voice: first music for voice and organ and then later transcriptions for other instrumentations. The composer’s largest-scale work is the melodrama Weisflog’s Dog, a piece for narrator, chorus, and organ (or instrumental ensemble), which draws together nearly all strands of his musical life. 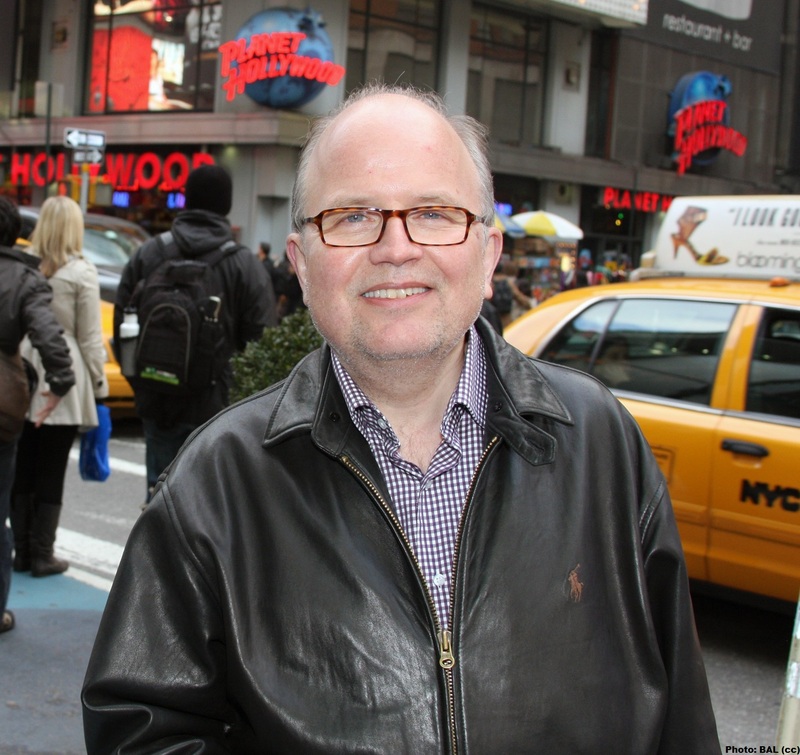 The piece includes quotations from other Åberg compositions that date across his entire career: from 1978 through 2016. The melodrama, a humorous St. Francis Day-inspired celebration of an anthropomorphic dog and his animal friends, was intended by the composer as retrospective piece that looked back on everything he had done. 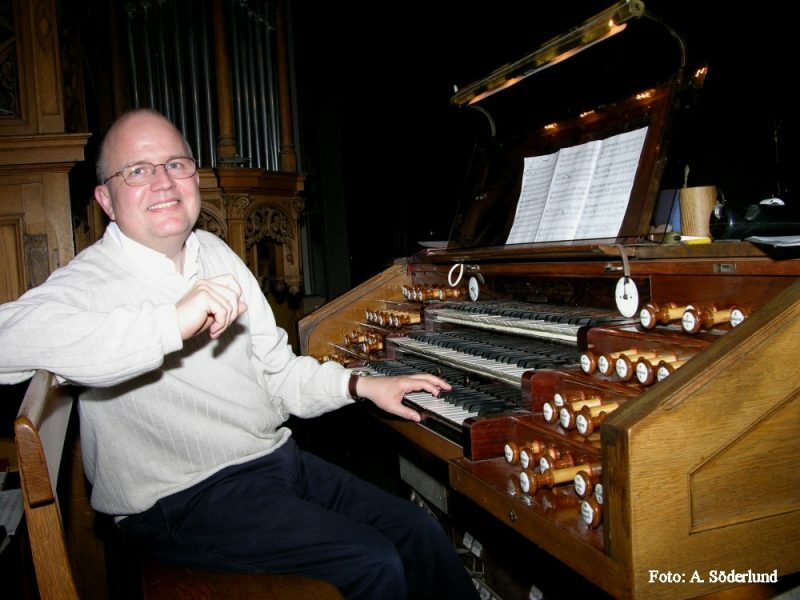 Over the course of his career, Åberg’s music has connected deeply with organists and audiences. His style is both immediately accessible (to player and listener) but is also individual and distinctive. By the mid-1980s, he had truly developed a personal vocabulary for organ music that was immediately recognizable as his own. However, it was a musical language that had enough room within in to incorporate new elements as the years went by: “emotional darkness,” influence from minimalism, new facets of joy, and adaptation to non-organ instruments. And yet, even with these elements of growth and extension, the music is still always recognizably Åberg’s. It is all these factors that combine to make his body of work one of the most significant and richest for the organ in the history of Scandinavian music.